Singapore Carpet Cleaning: How To Check If Your Carpet Is Really Clean? How To Check If Your Carpet Is Really Clean? · Carpets are a major cause of indoor air pollution. 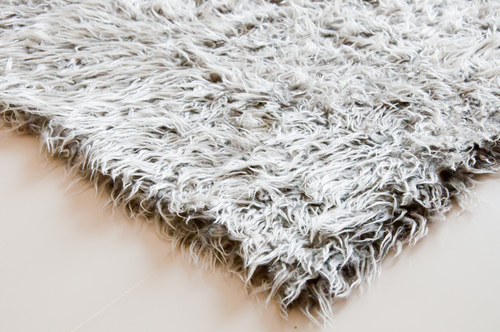 · Carpets can contain twice their weight of dirt. · The dirt your carpet holds increases the risk of diseases for you, your family and your pets. · Around 90% of public facilities, health care centers, schools and companies no longer use carpets as a way to improve air quality and reduce the risk of infectious diseases. · In Singapore, Mold, fungi, toxins, mildews, bacteria and pests are commonly cited as present in carpet fibers and tissues. · The average family in Singapore relies on the traditional Do-It-Yourself cleaning methods, such as vacuuming and a wash in the backyard of their house. · Traditional Do-It-Yourself cleaning can cause damages to the tissue of your carpets, without killing the pests and bacteria held in the fibers. · In the humid parts of Singapore, allergens and dust mites find a fertile background to multiply inside your carpets. These hazardous effects of such allergens shouldn’t be underestimated as they may cause congestion, sneezing and even acute colds. 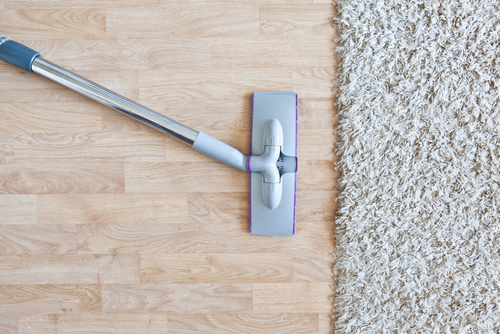 Six ways to Check If Your Carpet Is Really Clean? 1. Traffic Lanes: The name might seem strange, but the expression “traffic lanes” is used to refer to the dirtiest places on your carpet. Frequent use and stains make some part of the carpet difficult to clean. Traffic lanes are usually found on those parts of the carpet where people walk frequently on like the entrance of your room/office, the parts that you hide under furniture, and in hallways. Traffic lanes make your carpet look thinner, older and uglier. Regular vacuuming can reduce the risks of traffic lanes on your carpet. A powerful vacuum cleaner can help lift the fibers of the carpet and eliminate these lanes. Sometimes, the traffic lanes are too old to be removed by vacuuming, in this case it is better to seek the help of professional cleaners using advanced technologies like steaming. Experts recommend to regularly displace and vacuum your carpets to prevent the formation of traffic lanes. 2. Burns and Paint Stains: Carpets are one of the most sensitive pieces of furniture around the house. Burns are very common on carpets. They are accidently caused by a fall of your iron while you use your iron near the carpet, or ash from cigarettes and candles. Like the burns on the human body, carpet burns can come in three different levels, depending on how long the carpet has been exposed to fire. First, if the iron or ash is immediately removed from the carpet, no burning takes place. There are only some scorches that can be easily removed with the help of sandpaper. Second, fire can stay long enough to cause some superficial burns on the carpet, but not long enough to go deeper into the fiber. This type of burns can also be processed using sandpapers. However, in some cases the burns are so deep that can’t be removed, and the only option is replacing that part of the carpet. Prevention is better than cure, so watch out for signs of burns and scorches and try to remove them immediately. 3. Odors: You might like to think of your carpet as a filter. It absorbs dust and materials and you won’t be able to smell them unless the carpet is really full. Once it is full you will be inhaling a wide range of hazardous stuff, such as dust mites, pollen, dander, spores, fungus, bacteria and carcinogens. The presence of repellent odors in your carpets is again an indication that your carpet cleaning is due. As with traffic lanes, traditional Do-It-Yourself cleaning methods may not work. Professional cleaning is efficient to give your carpet a fresh scent. In Singapore, professional carpet cleaning companies are abundant, which makes the cost rather affordable. 4. Water Damage: Water and other liquid spilling is another hazard that might damage your carpet. Water stains ruins the texture of your carpet, makes it smell bad after a while and eventually causes mold. Mold not releases bad odors, but can also cause asthma-related complications. Professional cleaners have machines to treat even the most serious cases of mold. It is highly recommended to regularly inspect the back of your carpet for mold. If it gets to the base of the carpet, it is rather difficult to remove with traditional Do-It-Yourself cleaning methods, and professional help should be sought. Ventilating your house has proved to be highly effective in reducing the risk of molds on carpets. 5. Discoloration and stains: Discoloration on carpets is basically caused by furniture sitting on the carpet. Placing furniture on carpets is a common practice to prevent the carpet from being displaced. Mothers resort to this technique to prevent children from messing around with the carpet. Like traffic lanes, discoloration reduces the shining effect of your carpet. Discoloration can also be caused by food spilling. Treating carpet discoloration can’t be done unless the causes are known. Stains and discoloration come as a result of two sets of causes: from wear or from chemicals. Yellowing, graying and browning are examples of discoloration caused by wear. Yellowing is common on carpets in poorly-lit areas, while graying and browning happen in high-traffic parts of the carpet. Discoloration and stains should be removed with the help of professional cleaning, that can be got easily in Singapore. Should you notice one of these signs on your carpet, don’t hesitate to seek professional cleaning services. Remember that by cleaning your carpet you are not only protecting the carpet, but your health and that of your family.